Do you feel overwhelmed at the thought of getting your website up and running? Or even worse, re-designing your current website? Are you clueless on what to do with your social media profiles or simply too busy to manage them yourself? Unsure about how attract your target audience and convert them into fans and customers? I’m Your Marketing Lady, and I understand the goal of a professional website is to generate leads that produce actual revenue for your business. Once you have your home on the web, it's important to have a plan to drive targeted traffic to your site. You can have the most beautiful user-friendly website in the world, but if the right audience doesn't see it, it's practically worthless. I help small to medium-sized businesses build their foundation, their website or home on the web. 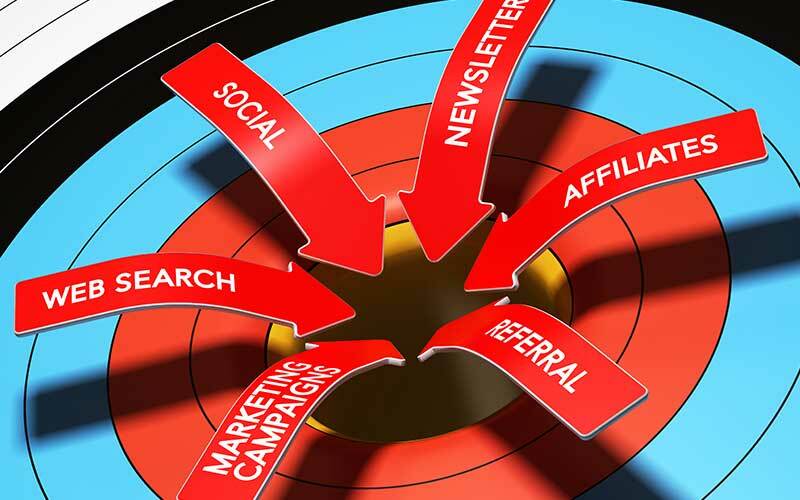 I also work closely with you to develop a strategy that will attract your target audience and generate new leads and customers. One of my most recent web design and social media projects has over 3 million Youtube views and over 13,000 subscribers. I started the "My Apple Gadgets" website from ground zero and built a social following of over 15,000 Twitter followers, over 6,000 Facebook followers and Pinterest has been a major factor in website traffic lately with over 3,000 active followers. With stats like these, I can help you gain a presence on social media with an active an engaged community. My 10-year track record in the marketing and advertising industry has taught me to abandon cookie-cutter strategies to produce the results my clients and partners deserve. I’ve learned a lot from my time in corporate America, but my biggest lesson was discovering the need to get to REALLY get to know individual businesses and their target audiences to maximize opportunities for growth. That approach helps to determine what unique web design and airtight digital marketing strategy would be best for YOUR business. You need a website that operates like a "lead generation machine." When it comes to online marketing, coming up with an attractive, eye-catching web design isn’t even half the job. That’s why I’ve paired my Graphic Design skills with what I’ve learned from my Google AdWords and Social Media certifications, providing me with a double-edged sword to use in combat against the evil forces of weak content. If your web-design doesn’t keep people coming back for more, what’s the point? Whether you’re creating a website from scratch or giving your old one a makeover, I’ll build an exclusive design for your business that potential clients can’t get enough of. Together, we’ll analyze the needs of your market to go beyond creating something that’s pretty to look at and construct something that’s actually profitable. Gain A Long-Term Business Partner. You will always be much more than a number to me. I’m Your Marketing Lady, I'm not looking to get you in and out the door as quick as possible. I love what I do, so I embrace the opportunity to learn about you, your business, and your goals to develop a customized marketing strategy that delivers. No need to outsource for a social media strategist, copywriter, or content developer --- I’ve got you covered. I’ll build a cutting-edge site to work as the foundation of your business and execute a plan to drive targeted traffic to your domain. You’ll Always Be In The Loop. Diamonds are forever, but websites aren’t! I offer website maintenance programs to keep your business ahead of the competition. The world of technology can be a scary place, but don’t worry. I’ll be here to hold your hand every step of the way. I pride myself in putting a much-needed end to the outdated tradition of cutting corners. My goal is to exceed your expectations by going above and beyond. That's an added bonus. I’m a shameless tech-geek with a passion for knowing what makes things tick. I enjoy watching and helping things flourish; especially small businesses. I’ll apply my knowledge of web design, social media marketing, and overall digital marketing to assist you in taking your brand to new heights. Now if you’re ready to take your business to the next level, send me a message or call me personally for a complimentary consultation! 678-459-5772. Not ready yet? You can still get my best web design and social media marketing tips and strategies via my newsletter. Subscribe now, it's free. Struggling to grow your social media accounts? Struggling to create engaging content? Are followers not commenting on your posts? Not enough time for social media?